Children across the UK are set to get the opportunity to learn Foo Fighters riffs at a series of special events. The band have teamed up with Rocksteady for the special event, in which kids will be given a 30 minute spot to learn two classic riffs. The events will be open to anyone between the age of five to 16 regardless of ability, and will run across England. It's simply turn up and play, with Rocksteady hosting events in Birmingham, Bristol, Leeds, Manchester, Northampton, Nottingham, Portsmouth, Guildford, Kingston and Romford. 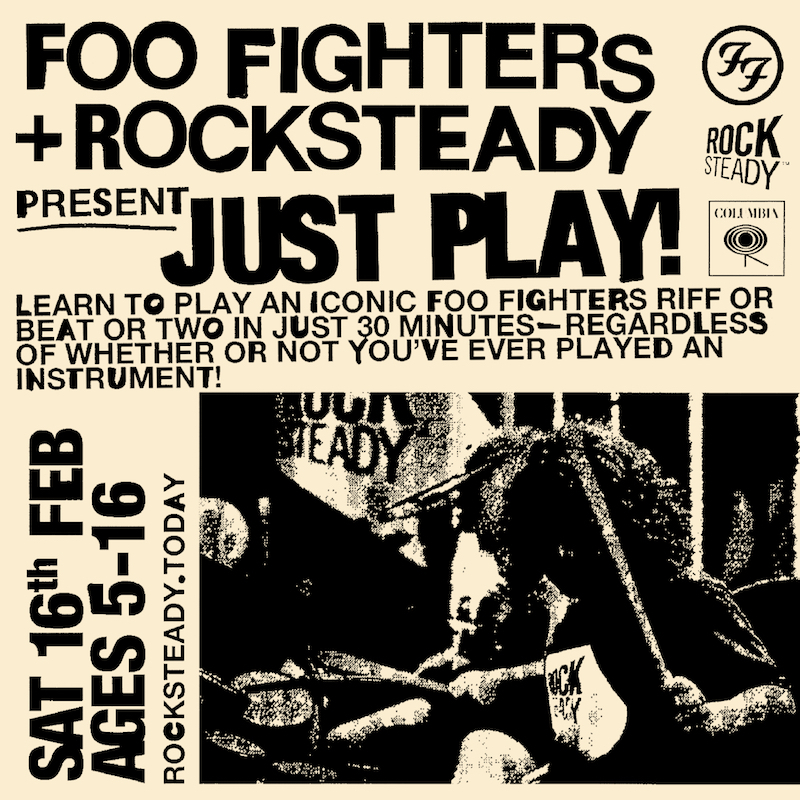 Dave Grohl comments:"Watching my kids start to play music and learn to sing or play drums, it brings me back to the time when I was their age listening to albums, learning from listening..."
Rocksteady CEO Scott Monks said: "If you can help a young person feel like a rockstar for a day you can inspire them into a lifelong love of making music and you can’t get much more inspirational than the Foos!"